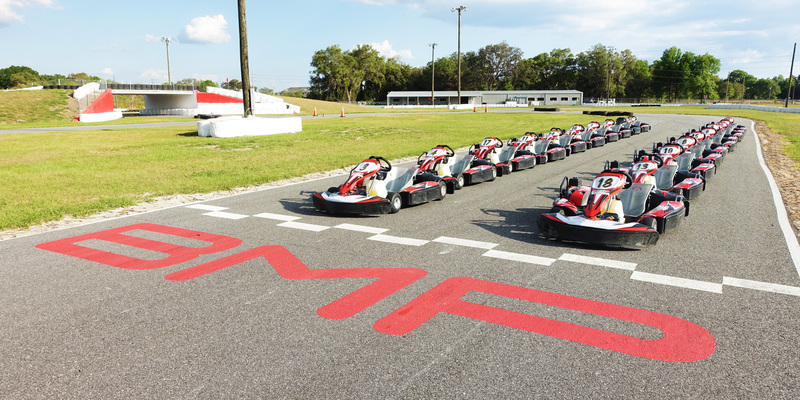 The Bushnell Motorsports Park rental karts allow you, family and friends to race wheel-to-wheel against each other in our high-speed rental karts. We use the full track for our rental karts – you’ll go over the bridge, through the underpass and across the banked turn. Our karts will reach speeds of up to 50-55mph. Racers must be 14+. Closed-toed shoes required. If you are under 18, you must have a parent/guardian sign a waiver on your behalf. 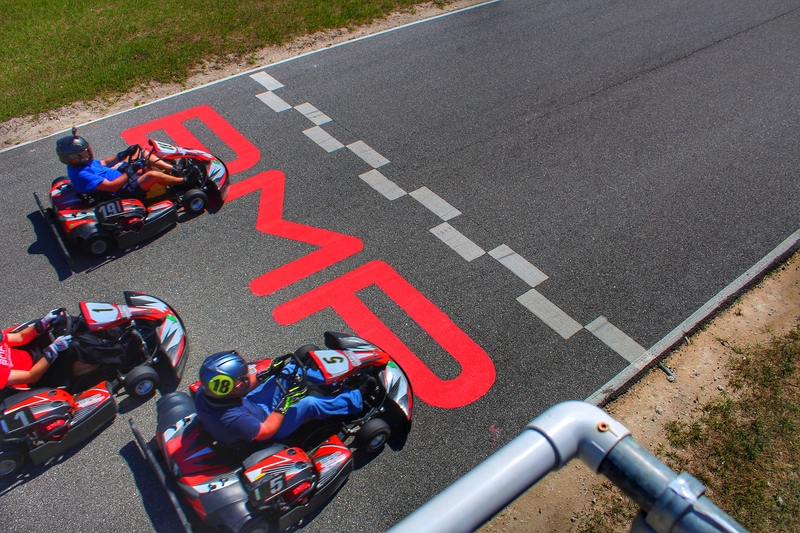 If your guardian will not be present during your race, you can download the minor waiver and have your guardian fill out prior to racing at BMP. Please print it, fill it out, and bring it in to BMP when you race. 5 Races (5 x 10 minutes) = $85 plus tax. Races are per person and are not transferrable. Races can be banked – they do not need to be used the same day. Headsock: A headsock can be purchased for $3. A headsock is required if using our public helmets. You are welcome to bring your own helmet (must be a full-faced helmet with a visor) or a past head sock! For Groups: We offer a 10-Pack (10×10 minutes) for $195 that is shareable and can be split amongst racers. It must be used same day purchased. 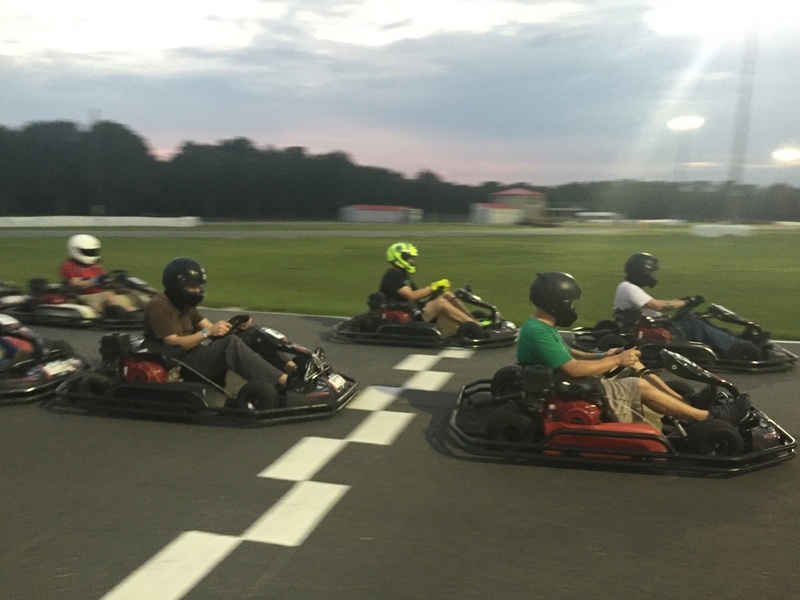 On Wednesdays (from 4pm-9pm), ladies are only $10 + tax to race the rental karts per 10-minute session! Fridays = Senior Speed Special! On Fridays from 12pm-4pm, anyone 55+ is only $15 + tax to race the rental karts per 10-minute session!